Will 'Christie vs. Obama' heat things up for vaccines? While commenting on the ongoing measles outbreak in the US, New Jersey Gov. Chris Christie ran into some friction with President Obama, stating that there must be a “balance” from the government between parental choice and views on vaccines and public health interests. 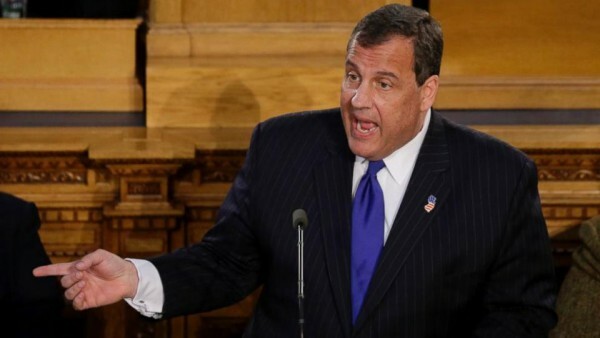 Christie stressed that parents and families must have a “measure of choice” on the issue of childhood vaccinations – something I think a lot of us can agree with. –Barack Obama, Pennsylvania Rally, April 21, 2008. President Obama sings a different song now, stating that the science is indisputable, and that there is every reason to get vaccinated – but not many reasons not to. He also revealed he delayed some of his children’s vaccines when they were born. While many individuals recognize the potential downfalls of vaccines, most Americans do in fact vaccinate and support vaccinations. But public ‘kerfuffles’ like this could have a measurable impact on that. With the incredible allegiance to faux political parties in the US, we constantly see individuals divide up on numerous issues based on information that supports political and religious identities and belief systems. “Vaccine risks are neither a matter of concern for the vast majority of the public nor an issue of contention among recognizable demographic, political, or cultural subgroups,” writes Yale’s Dan Kahan, who researched the topic through a nationally representative survey. The question being asked is: will the vaccination issue become framed around issues of individual choice and freedom vs. government mandates to such a degree that individuals will align views based on their political party? I think we are a country that generally appreciates individual choices rather than government mandates, but I think the public overwhelmingly supports vaccinations and that could be pressure enough. The recent backlash against Christie and Paul had them back-peddling from their “pro-choice” rhetoric. Imagine the GOP being Pro-Choice! Paul is then seen smiling while getting a booster. My personal opinion is that this issue will sort itself out (kind of a free market approach), without government intervention and mandates. Schools, daycares, doctor’s offices, etc. will demand children be vaccinated before they can enter and use the facility (even my puppy must have shots prior to obedience class with other dogs to prevent the spread of disease). This will leave parents who prefer not to have their children vaccinated with increasingly limited options, and possibly the peer pressure stigma from parents who choose to vaccinate. Ik ben er van overtuigd dat veel vaccins in het lichaam blijven en nadelig zijn door de nevenwerkingen die meestal worden verzwegen. Big Pharma zoekt enkel eigen kapitaalsverhoging en hapitaalswinst.